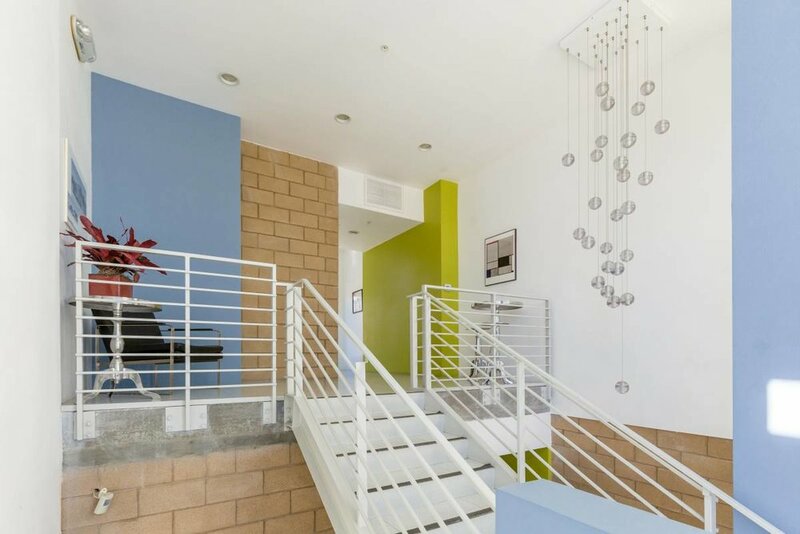 2br/2.5ba unit in the rarely available 803 N. Palm Canyon Building. 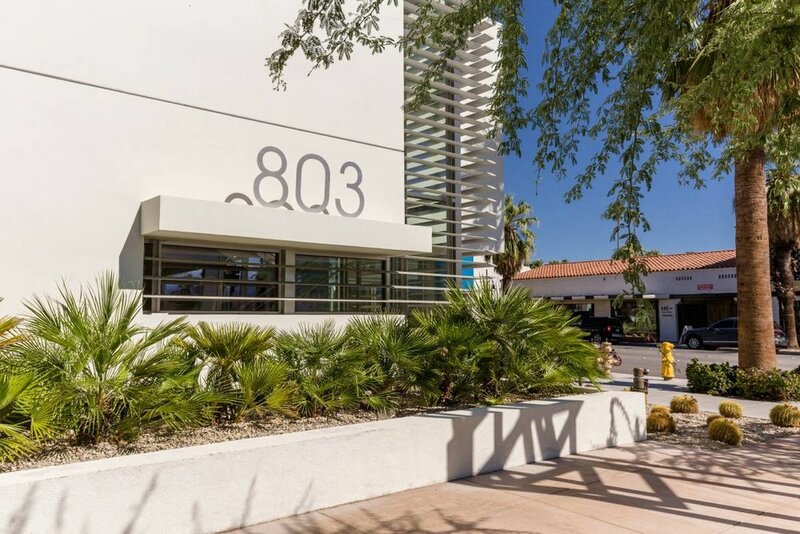 Located in the heart of the Palm Springs design district this 1,730 square foot unit is the building owners personal home and has the largest square footage in the property. The two story residence features built-in Euro Style Cabinets and appliances. Wolfe stove and Hans Grohe Faucets. Sub Zero fridge with matching wood facing, double stainless sink all facing the view via floor to ceiling windows. All living space floors are rich wood with the exception of the two large bedrooms. Steel Center staircase opens to a loft style living area with two large decks facing the second floor pool. Elegant master suite with natural skylight, wall mounted faucets quartz counters, sand blasted showers and glass walls. The complex features security access and underground parking with private garage within the garage. Each unit has a private cabana. Walk to all the action yet private, a true urban experience bathed in style. 3br/2ba with awesome split bedroom floor-plan. Two bedrooms off one hallway with master suite off a separate "wing". This cute and light home was just rebuilt from the ground up and features, full house laminate flooring, designer fixtures (both lighting and plumbing) new windows, blinds, appliances, water heater and freshly installed solar tubes to provide soft daytime natural lighting. Kitchen features fresh granite counters with glass back splash, new cabinets and all new appliances. Bedrooms are above average size for this vintage and don't let square footage fool you, home has a large feel Both bathrooms have a true spa like feel.. Located in the desirable Seaside neighborhood at the end of the elite "concrete" streets between Leonard and Alberta, this home offers a unique feel blocks from the beach yet with a private canyon facing view. Over-sized two car garage and fenced yard with landlord maintained park like landscape. Tenant pays all utilities and pet upon approval. Truly spectacular views from this condo in the heart of the Historic Gaslamp District. 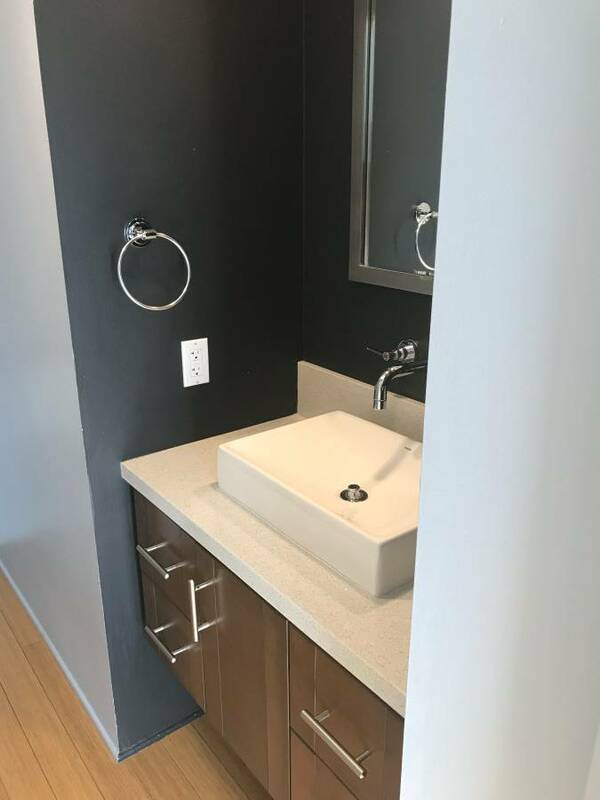 Condo comes fully furnished, One designated parking space. Walk to everything!